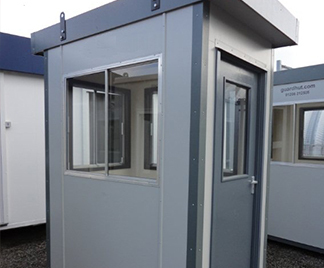 Our range of security guard huts in London and the South East make for fantastic gatehouses, car park stands, tollbooths and ticket kiosks. When designing our portable buildings, we concentrate on functionality above all else. 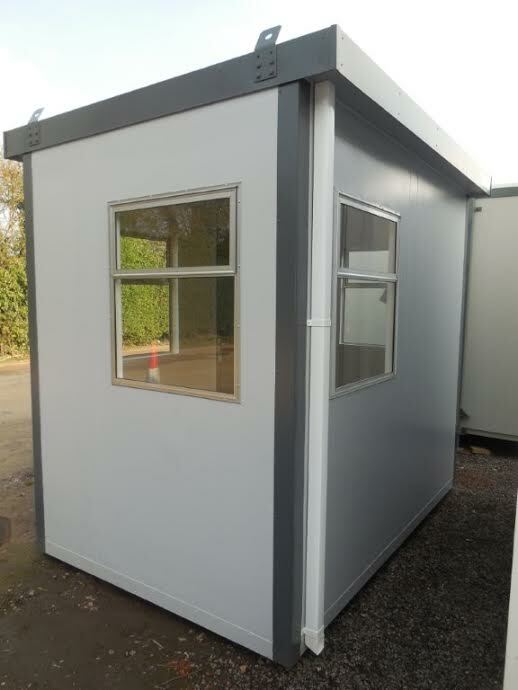 The most important feature for a security guard hut in London is the security element; each of our huts boasts secure lockable doors and windows which will prevent out-of-hours equipment theft, while ensuring worker safety during working hours. 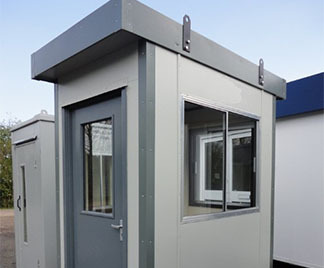 If your business would benefit from an extra level of confidence from a security guard hut, we recommend opting for our extra durable, plastic-coated, steel exteriors and interiors. The benefits to these are numerous, including the extra durability – plastic won’t rust, and it is easier to clean. 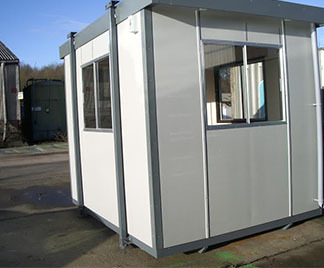 Our security guard huts in London help you treat your security guards well. We provide trimmings that set our security guard huts in London apart from the rest – additions such as integrated lighting and power will make a difference to your security guard’s attitude toward their job when they know they’re being taken care of. 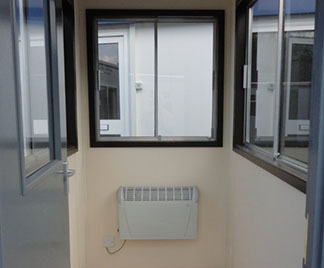 They’ll be thankful that you bought one of our security huts when Winter comes – plugging in your heater is easy. 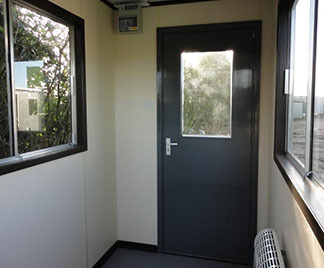 As well as providing all of the necessary qualities, our security guard huts in London are aesthetically pleasing. The neutral colours we have chosen for our huts allow them to easily blend in to most settings. 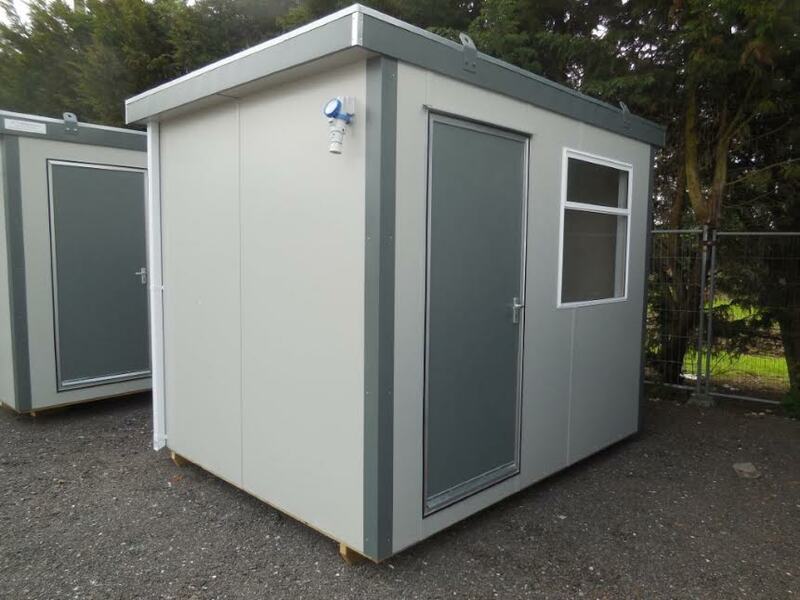 If you’re looking for affordable security guard huts in London and the South East, we welcome you to get in touch with us here at Flintham Cabins Ltd. We offer a range of both new and used portable buildings in London, so you can inquire about cutting costs through recycling, rather than cutting on quality.